Mmm... gotta love that cooked chicken leg look. That's what you call a holiday tan! ...and you thought your tan lines were bad? Bad Tans | Why does tan make teeth look white? Bad Tans | What Age Should Children Use Self Tan? 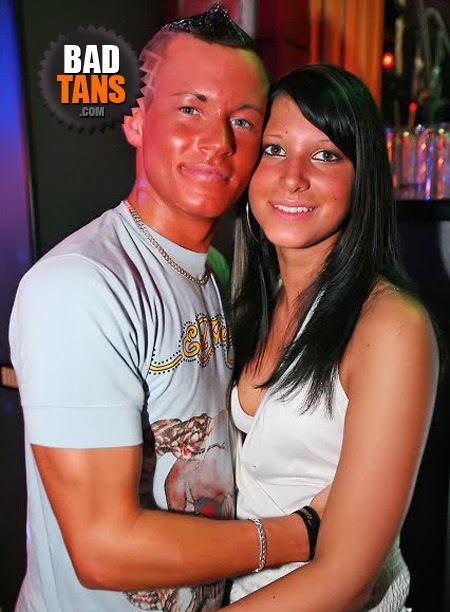 Quick, Mom is out - let's get her bottle of Tanning Oil! The chap in the middle is getting high off the fumes.